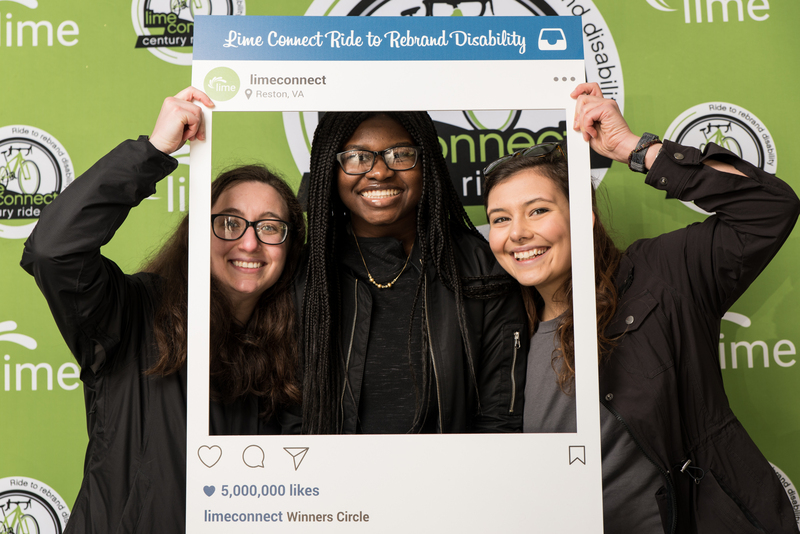 Join Lime Connect and hundreds of passionate riders and supporters for a scenic ride across Northern Virginia for a great cause: forging a pathway to success in the corporate workplace for students and professionals - including veterans - with disabilities. Proceeds raised will support Lime Connect’s mission to rebrand disability through achievement. Click here to view the full gallery from the 2018 Lime Connect Century Ride. Research: As a leader in the disability space, Lime Connect will spearhead research into critical points of impact for individuals with disabilities, with a focus on early career (K-12) and collegiate students. Our research will be used to identify essential next steps to ensure long-term success. High School Scholarships: Lime Connect is proud to offer our first-ever Pathways Scholarship to support a smooth transition into college for high-achieving high school students with disabilities. A portion of the proceeds from the Century Ride goes directly toward supporting this scholarship. Growing Our Network: The Lime Network consists of over 13,000 students, professionals, and veterans with disabilities across the United States and Canada. Funds raised will support the Lime Connect programs, training, resources and events available to Network members. Volunteer: This event wouldn't be possible without the support of volunteers. There are a variety of ways to contribute. Check out our volunteer page and sign up if you're interested in supporting a great cause while enjoying the outdoors and spending time with great people! Donate / Fundraise: Make a donation or create a fundraiser to help us reach our goal. It is quick and easy to set up and a great opportunity to contribute for those who are unable to attend. Lime Connect is a 501(c)(3) organization and contributions are 100% tax deductible. You can also double your impact by finding out if your company offers a matching gifts program. Sponsor: Our generous sponsors are essential to the success of this event. There are a variety of sponsorship packages available for 2019 and custom opportunities can be discussed. Click here to check them out!